I don’t even know where to start. I had every intention of blogging about my experience yesterday at the Monday Health panel, and talking about what it was like to sit there and listen to those beautiful, inspiring, proud, nurturing women speak to me. To ‘me’, as a queer woman of color in Boston. There were four people that had been given the space and time to address me and my concerns. That fact alone, and in itself would’ve felt warm and fuzzy enough to write about but the LOVE, and desire to guide/mentor that I felt radiating from the table was simply unmatched by any other sentiment in the room, at least for me. I wanted to write about all of this. But after last night, quite frankly, I feel emotionally congested and choked up. In a good way. I am so moved. Tonight, the Center for New Words brought me back to life in a BIG way. Not only was I moved to tears to see all the interracial couples and friendships in the room, truly excited to be there and happy to meet everyone else, but I was moved by all the words… about QWOC+ Boston, about me, about finally having a space to talk. The constant words of gratitude I kept hearing reminded me that sticking to my ideals had won… QWOC+ had won the ‘hearts’ of people, not just their wallets. So many people took it upon themselves to mention why they love what QWOC+ Boston does, why they support it, why it’s important to have, why they applaud me for doing it (which really made me embarrassed). Nevertheless, it was so wonderful to hear, especially after I had just been told by someone that these “key” people in the community don’t work with me… Interesting that the key people they mentioned weren’t key health advocates/providers, legal activists, other community organizers, or any other people working in pivotal positions required to sustain an entire community. They were business people. I see this now, and am relieved at the common thread (QWOC+ Boston isn’t a for-profit business and thus the conflict) but at the time, I did give into the insecurities that come with leadership sometimes. I did question myself… why couldn’t I work with any of these people? What was it that I was doing wrong? I was actually beginning to spend too much time thinking about why I couldn’t compromise our ideals for the sake of other people profiting! But during the interracial relationships discussion I remembered why I’ve always been picky about collaborations and alliances, and why I’ve chosen to work on building relationships with some people/organizations over others. There were a number of reasons that came up. But the biggest and most important one was that there are some people that will align themselves with your vision and so work with you towards it. And, then, there are some people that won’t. They don’t see the ‘bigger’ importance of sticking to a vision that’s inclusive and authentically welcoming to all, above feeding off some sort of manufactured rivalry. So, all they did/do is repeatedly get in the way of it. What I saw last night could not be described by my words, nor recounted in any blog I could create. All I can say is that there was magic. People felt it. And, in fact, I’m resolved to posting people’s words on the qwocboston site/blog during the week. The world needs to see that there are women (and men!) that believe in the work that we’re doing. I have been fortunate to work with true allies: Center for New Words (twice now in one year), Socializing for Justice, the Fenway, Black Pride, Queer Asian Pacific Alliance, Good Asian Drivers, and so many wonderful people who believe in me and what I’m doing. I am choosing to focus on these alliances, and these collaborations, because their love will always re-energize me and pull me forward. Hi: I just wanted to express my thoughts tonight about one of the best CNW’s “Feminism and Dessert” Workshops I have ever been to. I will never even think of touching a women’s hair, unless I am personally involved with her. I will not consider myself as not being a (racist) in the sense of not being prejudiced; Nor will I ever imagine what it must feels like being a woman of color and how she feels about growing up her whole life and how others may perceive her as beautiful (because of her pigment of her skin.) or just being born a woman of color. I plan to write about the events tonight in my Feminist Web Blog “My G Spot” http://mygspot.typepad.com/ and mention your organization on face book, Code Pink Boston Meet-up and even NARAL Pro-Choice Massachusetts because I feel more women need to know about the tremendous work you are doing this week and all year long. I was really moved and touched tonight by the compassion and caring spirit everyone shared with each other and just because I felt like a minority (as being one of the only two males in the room; the big guy by the window wearing the glasses and my sandals with the painted toenails-another story all together) I didn’t feel uncomfortable and didn’t feel I didn’t belong there tonight, thank you for that. I would love to volunteer for your organization in some capacity but I hesitate because I am just a straight white male who loves feminism and supporting/working for women’s right and women’s cause. Nevertheless, if you feel that I could be of service to your organization in the near future please let me know. I am so happy I had the chance to meet so many warm and charming women tonight and just sat back and enjoyed myself and all it’s pleasantries. Thank you again. Anyone who knows what QWOC+ Boston stands for knows exactly what I’m going to write to this beautiful person. If you get it, you are welcome. And you do, so you are :o) That plus in QWOC+ Boston’s name is where all this love comes from, indiscriminately. And people like you make it possible. And perhaps the self-doubt was my way of dealing with all the anxiety I’d been feeling about this week, all the stress it had created for me in additional to regular life’s pain points, all the drama/negativity from people who still don’t get what I’m trying to do, all the nervousness that comes with putting your heart out on the table, and on the line, for something you truly love… Whatever the real internal was, I resolved to be happy before I left my apartment this morning. I told myself that if I accomplished nothing from this week other than getting the volunteers/organizers together, who seemed happy to be a part of something and to be meeting other queer women of color in this city, it would still be worth it. Once upon a time I was naive. I thought that everyone was good. That everyone was an idealist inside. That everyone was fair. That everyone could always see the bigger picture, no matter how big their egos were. I was wrong. And there has been no stronger reminder than my various experiences this year. It’s even been a reminder that I am not so perfect myself. That I am fallible. That I am human, and that I make mistakes. However, I am proud of the fact that I haven’t lost my way, still. That in spite of how difficult it may have been time and time again – I am not thick-skinned enough to suffer continued hurt/disappointment – I have stayed true to myself. So, it’s day one of QWOC WEEK, and here I am, the “Head Organizer”, looking like crap from no sleep, feeling like crap from no time to take care of myself, but feeling as proud as a gardener in spring. There are so many smiley faces online, so many exclamations (“QWOC WEEK!”) in my inbox, facebook updates, and voicemails. 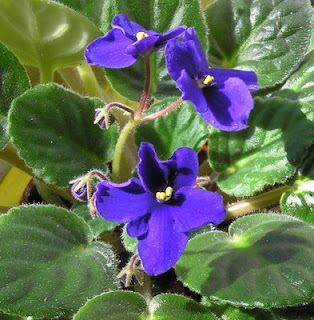 There is something budding today… and it’s beautiful. Good Asian Drivers post about QWOC Week! Click here to go to their site’s blog! 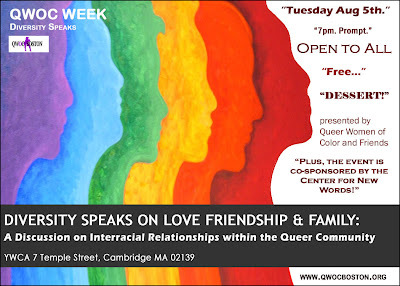 If you are queer and you live in Boston, it’s nearly impossible for you not to have heard of QWOC+ (Queer Women of Color and Friends). Be mindful of the plus (+); it’s one of the only groups in Boston that organize social events that draw out all members of our LGBTQ community regardless of gender, sexuality, and race. Which really is something that we have been needing here for a while. I’ve been to QWOC+ events and I have to admit, they were a blast. And it’s nearly impossible to get me to leave my house. That’s why QWOC+ Week is going to be kind of a historical event. Never before has there been a week-long multicultural pride festival for LGBTQ people of color anywhere in the United States. Literally, all of these intersecting communities (Truth Serum, Fenway Community Health, Center for New Words, Queer Asian Pacific Alliance, MadFemmePride, MIT, PFLAG, Spectra, and more) came together to put together the program this week, which includes discussions on health services, relationships, and identity, artist showcases, film screenings, outings, beach parties, bar crawls, you name it. In fact, we’re going to be performing at the artist showcase on August 6, at 7pm for the QWOC+ Spoken Word Showcase at Middlesex. Kit and I will be doing some pieces early on in the night as well as at the end, so come support all of our queer artists of color and allies, and stay till you’re all danced out. All this is to say that we love QWOC+. We love them, love them, love them. They’re doing amazing work that is essential to building our community in Boston. So let’s party! QUEER WOMEN OF COLOR AND FRIENDS (OF ALL COLORS AND ORIENTATIONS) UNITE! 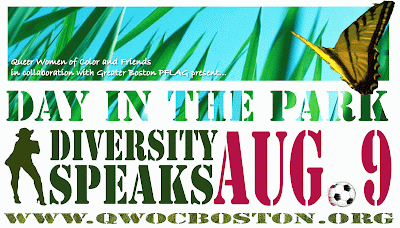 Boston, MA – August 1, 2008 – On August 4, 2008, Queer Women of Color and Friends (QWOC+ Boston) will launch the first ever, first annual QWOC WEEK, a multicultural pride festival for people of all backgrounds. Intended to increase visibility for LBGTQ people of color and be a rich celebration of pride and authentic diversity for all New Englanders, QWOC WEEK is open to all: from older African-American lesbians to immigrant college queers; from Latino gay guys to transgender pacific islanders; from political allies to non-profit health educators; this festival is open to everyone. True to its motto – “Diversity Speaks” – QWOC Week 2008 will provide a rare opportunity for the Boston LBGTQ community to connect, collaborate, and “speak” on a variety of race-related issues such as inter-racial dating, queer friendships across the color line and the challenge of providing health services to culturally layered queer identities. With the diverse lineup of events, including a highly anticipated spoken-word/performance show, a Friday night film screening, and a family-friendly day in the park, QWOC Week 2008 promises to be a fun and memorable celebration. But, more than just fun and games, QWOC+ Boston takes pride in its proactive year-round outreach to under-represented members of the queer community, including other organizations that promote awareness of a variety of issues and/or align with their goal of increasing consciousness via social-networking and community-building. Collaborations with key organizations that promote diverse, inclusive, community-building (such as Black Pride, Multicultural Aids Coalition, Queer Asian Pacific Alliance, MadFemmePride, and Greater Boston PFLAG) underscore the festival’s varied event lineup bound to appeal to a variety of community members. Queer Women of Color and Friends (QWOC+ Boston) is a grassroots organization founded in 2006. 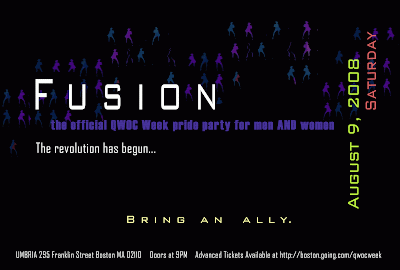 Run by a diverse group of more than 15 Boston-area LBGTQ community members, QWOC+ Boston is creating a sustainable QWOC+ movement in New England and is committed to providing open-minded, authentic and diverse spaces for LBGTQ women of color (and their friends/allies) in the Greater Boston area. For more information, visit www.qwocboston.org. QWOC Week is a multicultural pride festival for LGBT people of color. We’re putting on this week for the first time in Boston and will appreciate your attendance and support; it is so important that we ALL – boys, girls, younger, older, lesbian, bisexual, gay, trans, straight, and allies – come together as a community to help make this week a success and guarantee it for years to come. Join the movement. RSVP at any one of our sites, leave some enthusiasm, then spread the word! PLEASE NOTE: The most current calendar of events will be made available on our website. So, be sure to double-check event details before you head out. Doors at 6:30PM. Show starts at 7PM. Resident DJs spinning old school R&B, soul, and house music from 9PM onwards. Stay on to mingle, socialize, and dance! Join Queer Women of Color and Friends (QWOC+ Boston) and MadFemmePride to commemorate the very first QWOC+ Boston event (and MadFemmePride collaboration) at Dbar in 2006! Yup, it’s going on two years, people! This event routinely draws out a diverse, friendly, progressive, and fun crowd. Come on down after work in your three-piece suit, straight from a day off at home in your jeans and flipflops, or coordinated in purple with three of your best friends – we really don’t care just as long as you’re there. Weather-permitting, the patio will be open. This event goes from 7PM-11PM. But feel free to stay on afterwards for more socializing and dancing. y within our community… together. Oh, and did we mention… The First 50 people get in FREE! The QWOC WEEK crew will be taking over REVERE beach for the festival’s final day. Weather-permitting, we’ll be getting some much-needed relaxation after the week-long festival.